Democrats in both the House and the Senate announced a new bill on Wednesday aiming to return to Obama-era net neutrality rules, more than a year after Trump-appointed FCC Chairman Ajit Pai spearheaded their repeal. The “Save the Internet Act,” available to read here, aims to bar internet service providers like Verizon and AT&T from blocking or throttling access to certain content without government recourse. The bill would reinstate rules put in place by the FCC in 2015 under President Obama and later repealed by Pai in late 2017. “With the Save the Internet Act, Democrats are honoring the will of the people and restoring the protections that do this: Stop unjust discriminatory practices by ISPs that try to throttle the public browsing speed, block your internet access and increase your costs, giving to entrepreneurs and small businesses a level playing field and ensuring American innovation can continue to be the envy of the world,” House Speaker Nancy Pelosi said on Wednesday. 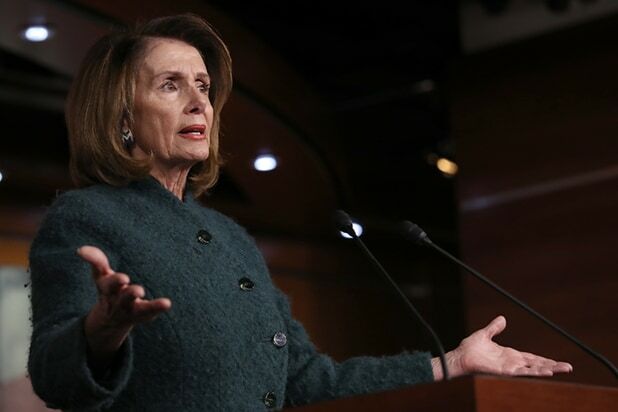 Pelosi said the bill will come to the floor in the coming weeks, adding that 86 percent of Americans oppose the “Trump assault on net neutrality,” including 82 percent of Republicans. Opponents of Pai’s decision have argued that the repeal of net neutrality grants too much power to a select few ISPs and hurts consumers, who could see price hikes; those in favor have said the Federal Trade Commission, which the FCC ceded power to, will be able to tackle companies that act anti-competitively. Pai has also argued the 2015 rules have stymied internet investment.